Indian ethnic wear for women come in wide varieties. Among the different kinds of traditional attires, salwar kameez is one of the most popular options. Liked by women of all age groups, this costume can be worn on casual, informal, special as well as on formal occasions. However, the styles and patterns of the dress vary from one another depending on the occasion. The cuts and fittings of different kinds of salwar kameez also vary depending on the silhouette. While some styles are suitable for taller women, some look good on ladies with short height; some are meant for plump figures and some for petite kinds. It is interesting to see that many women now prefer buying salwar kameez online. Online stores selling ethnic Indian costumes have great varieties of salwar kameez in their store and one can browse through the stocks again and again before making a final decision. But, since you cannot actually see and touch the dresses, there are some things that you must keep into serious consideration while buying salwar kameez from any online retailer. Cotton is the most preferred fabric of salwar kameez if you are buying the same for regular and casual wear. The material is extremely comfortable for summers. Again for parties or functions, salwar kameez made of chiffon, georgette, silk, brocade, tussar etc can be bought. Dresses made from these materials are extremely gorgeous and stylish. However, they might be little uncomfortable during summers. You might not know but all kinds of Indian salwar kameez might not be suitable for you. It is important for you to know as which style of the costume will suit you best. And this mainly depends on the kind of figure or complexion that you have. Some of the most common styles of salwar suits include anarkali suits, parallel salwar kameez, Patiala salwar suits, palazzo suits, straight salwar kameez, kurtis and churidaars and so on. It has been seen that tall and slim women look good in anarkalis or floor length salwar kameez. On the other hand, shorter and petite women look smart in straight cut salwar kameez and kurtis and churidaars. Understand your figure and structure and buy the ethnic wear accordingly. While purchasing designer salwar kameez online, check for the color, the embellishments and other kinds of decorations. For instance, if you are buying the dress for some daytime occasion, settle for lighter shades with minimal embellishments and decoration. However, if you are choosing the attire for an evening or night function, look out for bright and vibrant colors with elaborate embroidery or embellishments. Check out attractive salwar kameez with intricate works with beads, sequins, zari, stones, lace and other materials. Pairing the costume with right kinds of accessories is enough for creating the magic. Fitting of the salwar kameez is an important thing to consider. So while choosing an Indian salwar kameez from any online store, match your size with the size chart given on the website and then order the same. Since you do not have the option of trying the dress before purchasing, you have to be extra careful. Along with these, check the price and the exchange policy offered by the online store. 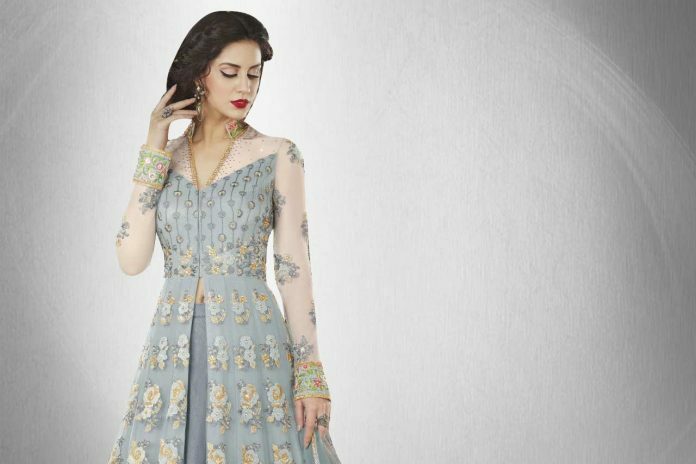 In case the salwar kameez does not fit you or if you do not like it on delivery, you should have the option of exchanging the same within a stipulated time period.